Every good investor knows that there comes a time when they will need to sell. If an investment isn’t performing or if you have other opportunities, you might want to liquidate your property sooner rather than later. In our latest post, we will explore some simple ways to sell investment property in Charleston! If you own an unwanted investment property, the thought of listing it the traditional way might seem like even more of an undertaking on an already burdensome home. There are many things to consider before you sell an investment property in Charleston. What will the costs be? How will you find a buyer in the shortest amount of time? We can help! Keep ready for more information and to find out how we can help you sell your Charleston investment house! When selling your investment property in Charleston, you will need to be aware of Capital Gains taxes that might be coming your way. To avoid this penalty, consider rolling the property over for another of “like kind.” By reinvesting your profits into something more lucrative, you can avoid the taxes and keep more cash in your pocket. Most investors are looking to save money wherever possible. This means many choose to sell on their own to avoid expensive agent commissions. 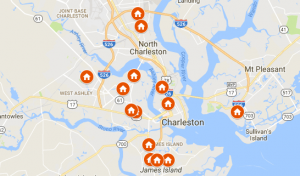 So you’ll have to take care of showing, listing, marketing and more when trying to sell your investment property in Charleston. You might go through some trial and error as you figure out what works and what doesn’t. Eventually, you will be able to build a strategy that creates the most exposure for the least amount of money. Getting the house in front of the right people at the right time will ensure you are able to resell the house quickly and without any hassles.